A new day is dawning for Subaru. It’s a great problem to have with increasing sales, but Subaru has some decisions to make in the near future. Subaru has blown away its chief rival Toyota’s sales results in the first seven month’s of the 2013. Subaru seems to have everything going its way. Sales in the U.S., where the Japanese automaker sells half its cars globally, are up 27 percent from January to July 2013. Toyota’s sales are up also during the same period, but U.S. sales were up 17 percent. Subaru is blowing away all the competition these days with virtually no end in sight. What will Subaru do? Increasing sales has created some issues for the small Japanese automaker, who has to decide how to increase production to meet ongoing demand. They have done this at their Indiana plant where they will invest $230 million and increase production by 30 percent. But U.S. production capacity alone won’t handle the strong global demand for the new 2014 Forester and popular BRZ sport coupe. Production is just part of the problem Subaru is facing. They will need to decide what kind of company it wants to be in the future. Up until now, the small automaker who is owned by Fuji Heavy Industries Ltd. (FHI), has created a niche market in which they have created a very loyal following. But we are beginning to see a new direction going forward. Subaru moved out of the all-wheel-drive arena in what made them so successful, and went into a joint venture with Toyota and created the wildly successful BRZ rear-wheel-drive sports car. Subaru can’t keep with the global demand for the affordable sports coupe. Customers have to wait month’s to get their hands on one. Next year we’ll see the launch of a new convertible BRZ and a newly-designed WRX STI performance sedan that has a cult following around the world. They are also working on a new mid-size seven-seat SUV. And Subaru is also redesigning the Legacy and Outback models in 2015. Later this year we’ll see the all-new 2014 Subaru XV Crosstrek Hybrid model launched around the globe. It’s the brands first hybrid model and it could be the first of many new hybrids. What isn’t discussed much is the fact that Toyota owns 16.5 percent of parent company FHI and Toyota has developed more hybrid technology which Subaru could benefit from. Look for more new hybrid technology to come out of Subaru. Here’s another important fact that is often lost in the discussion about Subaru. Parent company Fuji Heavy Industries Ltd is a large successful company who also has an aerospace division who makes parts for Boeing, helicopters, aviation business jets and industrial power products. They also have an Eco Technology Division that manufactures garbage trucks, robot sweepers and wind turbines. 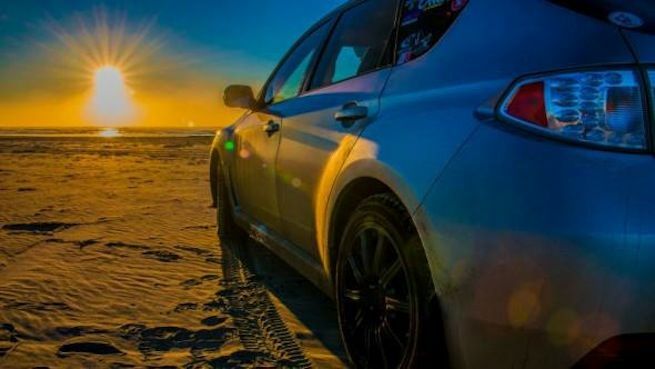 What makes FHI so successful, is the fact that they share technological advancements with each other, which leads to Subaru cars that have a great deal of technological and financial resources to draw from. We also see Subaru moving more mainstream with the new Legacy sedan which is being purchased by a new generation of buyers who have never owned a Subaru before. Look for this trend to continue as FHI pores more resources into its small Japanese automaker and expands its lineup into new areas and grows even bigger in the future. Look to Torque News for the latest Subaru news.